Do you have any electronics you are not using? Don’t just throw them away, bring them to us NSID and we will gladly recycle them. There has never been a more important time to step back and look at the impact we have on the environment. 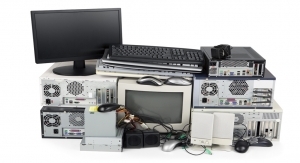 NSID is proud to provide not only a variety of electronic recycling services, but a promise to all of our customers that all of the materials collected are sent to only domestic remanufacturers, and nothing is ever put into a landfill as per NSID’s ZERO LANDFILL Policy. NSID provides the secure data erasure, with a program where hard drives are sanitized according to guidelines described in NIST 800-88. Using the most certified data erasure software known, you can choose three-pass, seven-pass or greater to remove you sensitive data. Our sanitization renders your data ultimately unrecoverable. 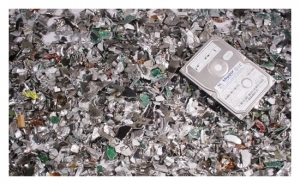 Additionally NSID also offers full physical data destruction if required for hard drives, tapes, and other media. Is your computer “running slow?” Don’t know where those new icons came from? Maybe you need a RAM upgrade, or don’t have the skills to install a new CD/DVD burner? Let the Technical Services Staff at NSID help you into a better situation by providing you with the benefits of years of computer repair and service experience today! A free check-up starts every customer service session at NSID to get you on your way to better computing!